Early bios of George Wathen (Worthen) are brief and sometimes give his name as John. Luckily a great amount of research was done by Clifford L. Stott and published in 1994 in the New England Historic and Genealogical Society magazine known as The Register. George and his family immigrated to the Massachusetts Bay Colony possibly by 1638, but definitely by 1640. He was one of thousands of immigrants who did not survive long in New England despite being a relatively young man, only in his early 40's when he died. Unfortunately his wife Margery died only two years after him, leaving very young children without family to care for them. Here's their story. George Wathen was born in Bristol, England around 1597. His father, also George, was born c. 1563 in or around Bristol, Gloucestershire, England. He married Joyce White on 9 August 1589 at St. Nicholas, Bristol. By 1600 he and his family were living in the parish of St. Stephen, Bristol. By then George and Joyce had three sons: William, George and Edmund, who were to follow in the footsteps of their father and become Joiners (Woodworkers) and a daughter Mary. William apprenticed himself to his father, George was apprenticed to John Browne on 12 Nov 1612 for a period of eight years. He was in a nearby town called Trowbridge in 1624/1625. He and Margery Heywood were married in Trowbridge, her hometown on 15 April 1624. On 16 July 1626 George and his brother Edmund were admitted as a Burgesses in the city of Bristol. George and Margery's first child, a daughter Deborah, was baptized at Trowbridge on 11 March 1624/5. The rest of the children were born in Bristol. Deborah was followed by John, b. 1627, Dorothy b. 1630, twins William and Elizabeth bapt. 21 Sept. 1632, both buried by Aug. 1634, and Ezekiel (ancestor) bapt. on 15 April 1636 at St. Nicholas, Bristol. Bristol is an ancient port city in the West of England. Many ships left the Bristol harbour for the New World, presumably George, Margery and their children, Deborah and Ezekiel, sailed for New England from their home city. George's skill as a joiner was in great demand in the colony as towns and settlements sprung up and houses and municipal building needed to be built. There was a ---- Wathen recorded in Lynn, Mass in 1638, this is possibly our George, but he was definitely in the Colony by 1640 when he was given a house and a lot in Salem and on 4 April 1640 he was appointed surveyor of fences. On 23 May 1641 he was admitted to the Church of Salem. He was twice in Court once for a land dispute and again for trespassing. The court date of 29 June 1641 is the last time George's name was recorded. He died shortly thereafter. The death of a husband and father is a tragedy at anytime but for a young family, without the support of extended family, it had to be a nightmare. But, the story gets worse, on 20 July 1644, the inventory of the estate of Margery Wathen, widow, was recorded. The children were now orphans, Deborah was around 17 but Ezekiel, the youngest, was 8 years old. According to Joyce S. Pendery, who followed Clifford Stott with an article in 2004 on the family of George Wathen in the Register, Margery had a very large wardrobe. She speculates that Margery and possibly Deborah were seamstresses, that would explain all the lace and ribbons and material that was inventoried. Also in her inventory were a bible, a testament and 24 old books. So someone in the family could read, although Joyce Pendery points out that Deborah and Ezekiel made their mark when they signed their names. Administration of Margery's estate was turned over to two members of the Salem Church and on 27 August 1644 Ezekiel was ordered by the Quarterly Court of Salem to be bound as an apprentice to Thomas Abree for 12 years. Thomas was a blacksmith who had come to the Colony on the "Mary and John" in March of 1633/4. On 24 June 1656, Ezekiel was freed by the Quarterly Court, he was 21, a trained blacksmith and free to make a life for himself. Here's an interesting side note, George Wathen's sister Mary, married Andrew Sargent, and they had a son William Sargent who immigrated. He was the William Sargent of Gloucester, Massachusetts who is and was sometimes confused with our ancestor William Sargent of Salisbury. George's brother Edmund had a son Thomas Wathen who also emigrated for a while, but returned to England to fight in the Civil War. 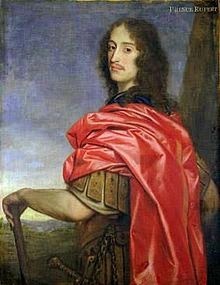 He died fighting with Prince Rupert, a cousin of Charles II, who was the commander of the Royal Calvary. I think it unusual that Thomas choose to fight for the King and not Cromwell, but maybe that was not uncommon. Anyway, Deborah was in Court in Ipswich in September 1652 where she was deposed concerning her cousin Thomas' estate. She said that William Sargent, their cousin was the closest male relative and should be appointed administrator of Thomas' estate. William must not have done anything because in the Salem Quarterly Court of September 1657 Ezekiel was appointed to replace William.